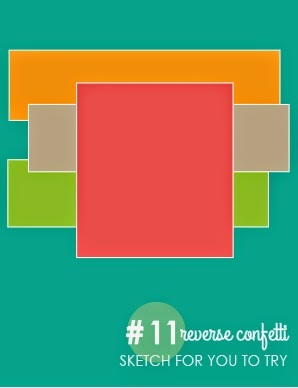 This card was created based off of this months sketch at Reverse Confetti - love this sketch! The three strips that you see in the back is washi tape from Teresa Collins as well as the paper. 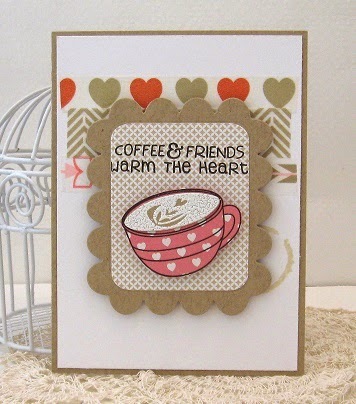 I also heat embossed my "latte art" on Kraft so that it gave a more "frothy" appearance. Stamps used are Reverse Confetti's - Be a Barista and dies used are Reverse Confetti's - Love Note and Class Act. I also used a coffee stain stamp from They Alley Way/Breakfast Club.